Do you want to help your child progress now that they’ve reached the age of 2 years old? Mothers are always looking for ways to help cope with the “terrible twos,” so you’re not alone. We all know the younger years are essential for a child’s development. This is especially true when your child turns 2 years old and is a full-on walking and talking toddler. One of the best ways they can develop their skills is with toys. Playtime is not only fun and exciting for your child, but it’s essential for development. So, let’s take a look at the developmental milestones of 2-year-olds and features to look for in children’s toys. Then we’ll show you some of our favorite toys for this age. Use the links above to check the latest prices or read our in-depth 2 year old toy reviews below. These demonstrate the skills most children will have at a particular age. This acts as general guidance for teaching your 2-year-old. By knowing these milestones, you’ll be able to make sure they’re on track with their development, or if there’s any cause for concern. Remember, though, all children are different — some develop earlier or later than others. Start to think and reason by themselves. They can follow simple instructions and may understand easy concepts. During playtime, they may be better at role play and use their imagination more. Two-year-olds can recognize some colors and sort shapes. 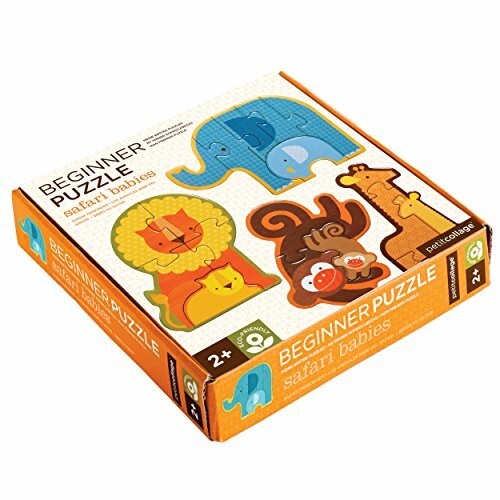 This means that basic puzzles can be suitable for your little boy or girl. Use problem-solving skills to build a tower with four or more blocks (source). You’ll notice your little one talking. Not all the words will be audible or clear, but your child should be able to name some objects and familiar people (source). They may have the curiosity to copy words you use, so be careful what you say! Sentences with a couple of words and phrases should be possible. Your child starts to learn about independence. Although, one minute they may enjoy it and the next they’re coming to you for comfort. Won’t always socialize with other children but may imitate what they’re doing. Should be able to grasp objects and use them, such as putting pegs in holes. Start drawing and holding stationery. Will probably start to undress themselves — sometimes at the worst possible time for you. Your child should be more confident on their feet when it comes to walking. They will also want to start running and even jumping. Attempt to catch and throw things, as well as kick a ball (source). To see some of the milestones in action that your child might accomplish during the first two years, check out this video. When you’re choosing toys, here are some features to look for. Storage-friendly: Toys that are easy to fold and store away are going to be useful. They’ll allow you to stay organized and some can even be portable so you can take them with you to play dates or on vacation. Now’s the time to teach your child to pack away after playtime — make it fun and they’ll join in! Programmed sounds and songs: At this age, your child is learning to expand their vocabulary and figure out sounds they hear. Toys that have sounds and songs can be more engaging and help them with their language skills. Indoors and outdoors: If the toy can be used indoors and outdoors, it’s going to be more versatile. You’ll be able to play with your child outside when it’s sunny, as well as indoors on a rainy day. Non-toxic and eco-friendly: Most toys are now designed with non-toxic materials. Look for BPA-free, as well as eco-friendly products. This means you can do your bit for the environment and know your child’s toys are safe. There are tons of toys out there for this age group. But don’t worry, we’ve reviewed some of the best to help you along your way. This may allow you to choose the best one for your child’s playtime. With these colorful and innovative blocks, your child can enjoy building and stacking all day long. There are 112 pieces in total, including functioning wheels, to allow children to use their imagination and be creative while working on fine motor skills. They can figure out how to connect them and create new shapes each time. Plus, they are soft, with the interlocking bristles being fun to touch and easy to use for building. This allows them to connect at any angle, which may help your child stay amused. 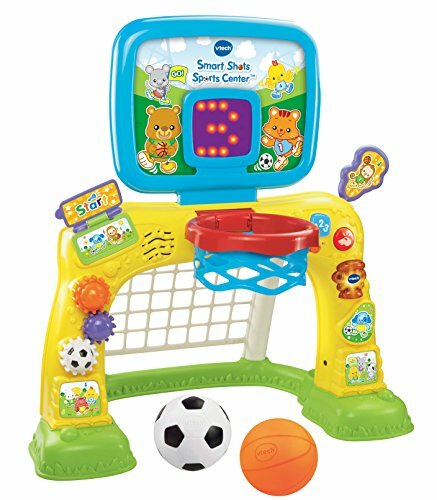 You may help your child become more confident on their feet, with this two-in-one basketball and soccer set. They can practice their gross motor skills, such as kicking and throwing, as well as work on coordination. The animated LED scoreboard is there for encouragement as it counts the number of goals they score. This center teaches numbers, colors, shapes, and letters. Sounds, songs, melodies, and phrases can enhance language development as your toddler plays. You’ll definitely have a ball with this one. If your child likes to be active, this may be a great toy for them. It’s a three-wheel scooter that allows them to push with their legs, practicing gross motor skills. The wheels light up for a cool touch. We love that this scooter has a removable seat. This means you can also help your child when you’re outdoors and they need a rest. 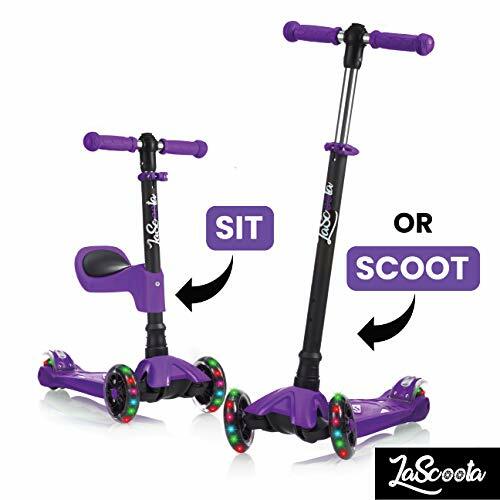 They have the option to sit and scoot or stand up in typical scooter style, with a wide bottom deck for stability, and a back brake to keep them in check. This toy is built to last, made from aluminum and stainless-steel parts. One of the best things about it is that it has a height-adjustable handlebar, so it can be enjoyed as your child grows up. Multiple colors are available. Does your little boy or girl already have musical taste? 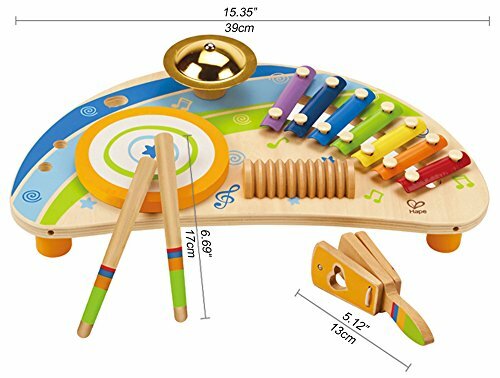 This engaging toy lets your child try out some new sounds and melodies. There is a colorful xylophone to tap, a cymbal to crash, and even a drum to bang. Your kid can develop their fine motor skills, using their hands to hold the drumsticks and shake the clapper. What’s more, the wood is designed to be easy to clean, and all paint used is non-toxic. This means playtime can be safe as well as exciting. 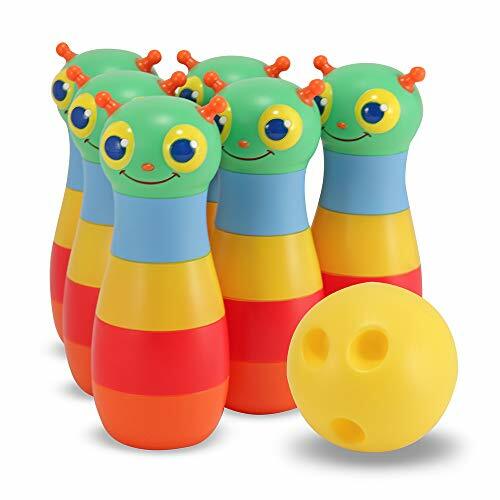 With this bowling set, you can see if your child can get a strike. The pins are brightly colored and look like bugs to capture your kid’s attention while they fine-tune their hand-eye coordination along the way. A bowling bag with carrying handles is included, along with six pins and a bowling ball. Made from plastic, it can be used inside or outdoors and it’s easy to clean. This means, rain or shine, your kids can have some fun. Bowling may not be the first sport that comes to mind but it’s a beloved favorite by young and old. Does your child love dogs? Well, you don’t have to go rushing to the pet store anytime soon. This toy lets your child practice caring for a pet, with a small and cute plush toy. 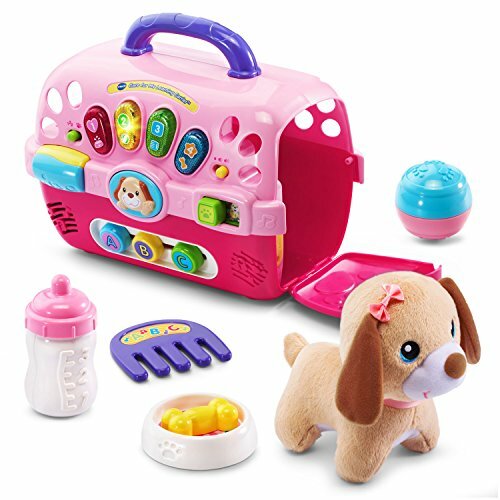 It comes with accessories, including a brush, food bowl, and bottle, to encourage kids to use their imagination. In addition, some buttons play music and indicate the care the dog needs. Children can use their problem-solving skills to figure out what this means, as well as copy the songs and phrases. There’s also a carry case, which allows your kid to take their pet anywhere. Sliding beads help them to learn letters, with a chance for exploring opposites as well. 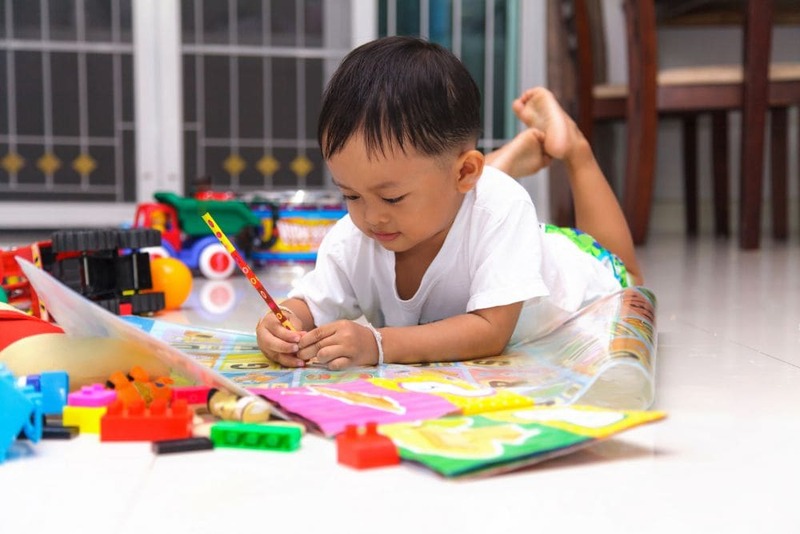 Toddlers enjoy coloring and drawing. But the problem is, crayons are sometimes made from toxic materials. 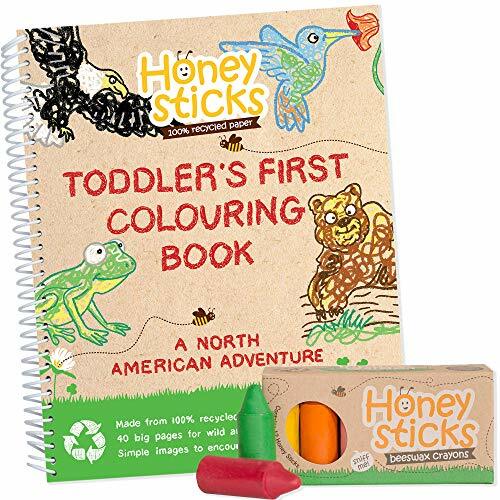 The fantastic thing about these crayons is that they’re natural and handmade from beeswax. They’re a chunky style so they’re easier for your child to hold. There’s a range of bright colors for creativity. Plus, they smell sweet, like honey. Included is a coloring book with 40 pages, made from 100 percent recyclable materials, with plastic-free packaging. That’s what we call safe and eco-friendly. 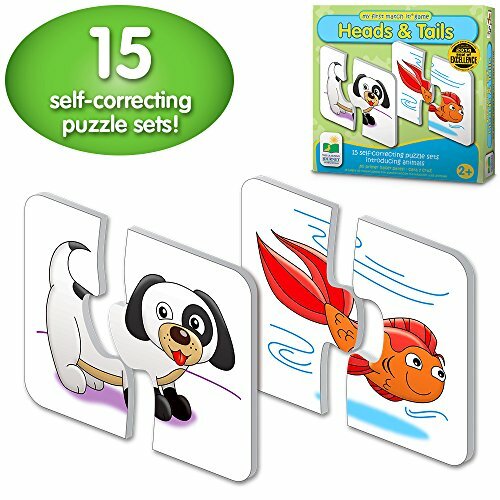 You can help your child work on his or her cognitive skills with this set of 15 puzzles. They’ll have to use their noggins to figure out what head goes with what tail of the animals. Other themes are also available, such as dinosaurs, toys, or the ocean. The self-correcting puzzles have colorful illustrations, with only two pieces to join together. This might help to keep your child engaged and avoid frustration. It increases the chance of your child succeeding, as they bring together the heads and tails. A lot of 2-year-olds want to be independent, but still seek comfort as they grow through this stage. This toy might help by providing a fluffy and recognizable companion for your child. This is an officially-licensed Disney product and it’s great for cuddle time. 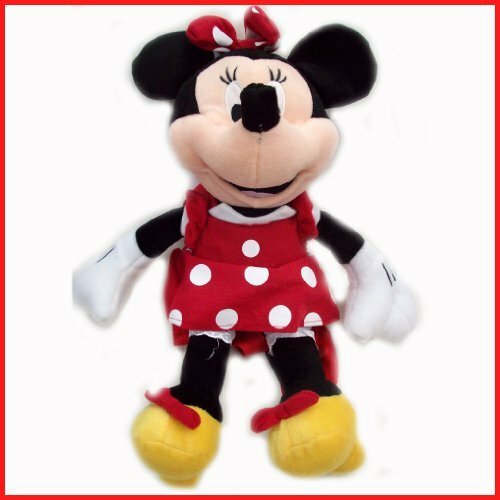 Minnie Mouse stands at about 15 inches tall and looks cute in her classic red polka dot outfit complete with her yellow shoes. So, if your child is a fan of Disney, this may be a good toy to help them through their social and emotional development. Have you started potty training? You may benefit from some reading time with this book. 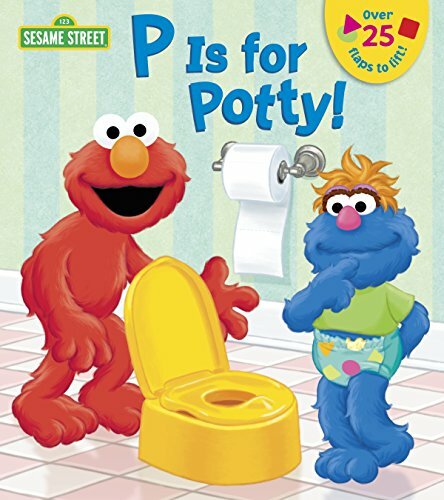 If your child loves “Sesame Street,” they may listen to Elmo as he explains how to use the potty. The book is colorful and illustrative, to capture your child’s attention. Another great feature of this book is that it has more than 25 flaps for your child to lift up. This means you can read through the pages with your child and let them peek at what surprises are underneath the flaps. Aside from encouragement with potty training, books are a great opportunity for bonding and instilling curiosity about reading. It’s never too soon for either of these. At the age of 2, most children are more confident on their feet. But working on gross motor skills is still important. With this fun toy, your child can scoot around indoors and outdoors, as well as work on their balance. It’s got a cushioned and comfortable body, with a rounded handlebar to hold onto. The multidirectional caster wheels underneath mean your child can move around backward, forward, and to the sides, using their legs. It’s made from high-quality materials and the mouse design is really cute too. Other adorable designs are available if your child has a favorite animal. This plush dog can be your child’s best friend while they’re gaining their independence. 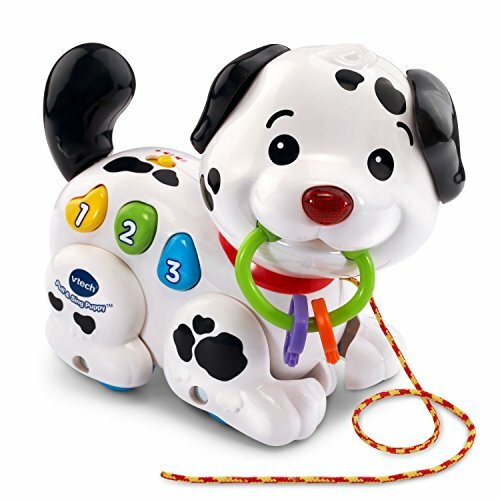 It’s also an interactive toy, with buttons on the dog’s collar corresponding to the different story books. Your toddler can listen, learn, and enjoy cuddles at the same time. In addition, the collar tag turns into a nightlight and plays a lullaby, to make bedtime relaxing. This could be a great way to make going to bed easier for your little one if you struggle with this routine. 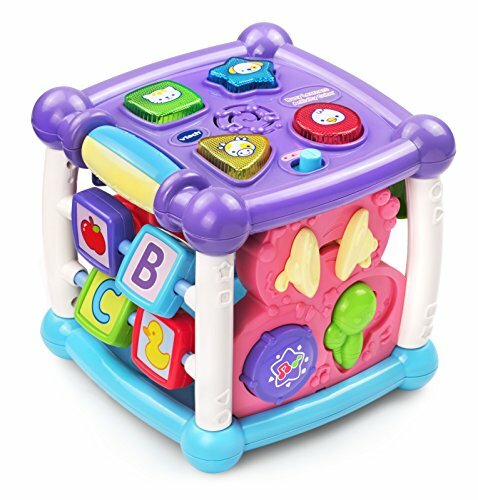 Like other LeapFrog products, there are multiple options for learning here, including number recognition, emotional development, the ABCs, and more. “Wheels on the Bus,” anyone? On each side of this brightly colored bus, there are different interactive activities. Your child can practice their language skills and sing along to the music. They can press the animal buttons or help the bus move along. There are also gears to play with, a book on the roof, and more fun features. This bus is made from high-quality ABS plastic for durability. If you start to get a headache from the constant sound, there’s an option to turn off the music. This may allow for some quiet playtime, if you’re lucky. Last but not least, the “bump and go” feature helps your child correct any run-ins as the bus self-adjusts after bumping up against anything, such as furniture. This toy may help your child use their imagination and creativity. 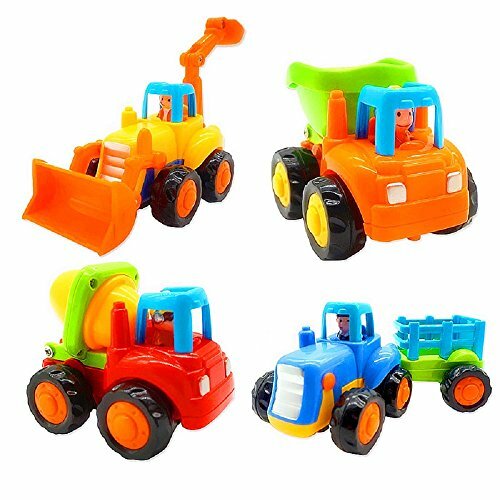 This set of four vehicles includes a bulldozer, mixer truck, dumper, and tractor, meaning your child can get to work. The moveable components will add some excitement. They can create their own stories around the house, or even use these toys in the sandbox. 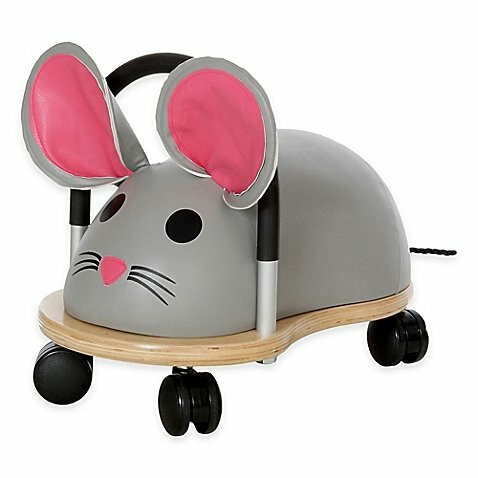 No batteries needed — children can push them around by hand. The vehicles are made from non-toxic plastic. Several colorful safari animals are featured here for kids to learn about. What we also like is that there are four different puzzles to help your child progress. They can start on the three-piece puzzle and work up to the six-piece puzzle, utilizing problem-solving skills. A good thing about these puzzles is that they’re made from recycled paper. They’re also non-toxic and made in the U.S., using vegetable-based inks for the colorful designs. 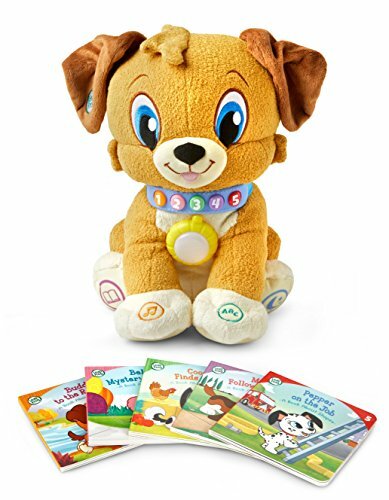 Your child can bring this puppy with them wherever they go. They can pull the toy using the cord, which also activates sounds. This means your child can take in the different sounds and have a buddy to play with. Kids can work out what buttons make the nose light up and the ones that play music. With over 60 songs, your child can work on their language development while they walk around with their new puppy. It also introduces numbers and colors. If there’s one thing you wished your kids didn’t play around with, it’s definitely the car keys. Well, with this toy, you don’t have to worry about setting off the alarm anymore. You can give them their own keys to “beep” all day long as they act grown-up. There are several colorful buttons they can press. A flashlight will require fine motor skills to switch on. 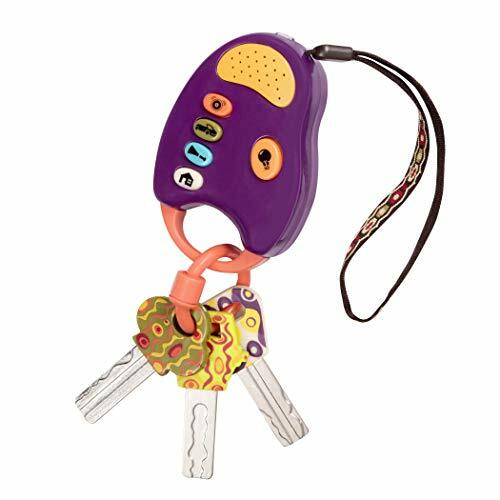 The cushioned strap means your kid can bring their shiny new keys with them anywhere, complete with lights and sounds. If you’re conscious about the environment, this toy is also eco-friendly. It’s made from recycled materials, safe stainless steel, and soy-based inks, all BPA-free and lead-free. Is your child becoming curious about all the pots, pans, and other equipment in the kitchen? Perhaps it’s time to let them have their very own. This set features an oven for pretending to cook and bake, plus a refrigerator and microwave. It even comes with pots, dishes, and other utensils, as well as a chalkboard for grocery lists or sweet notes for their family members. 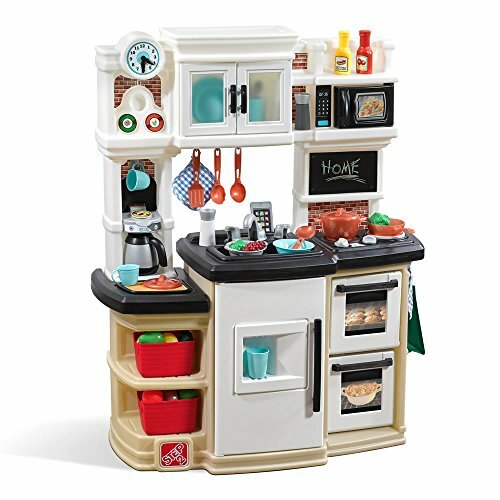 Kids can enjoy role-playing with this kitchen, and learning what all the equipment does. The lights and sounds of the stovetop also create a more realistic and captivating play. There’s no lack of storage with the unit, which means clean-up time may be easier. 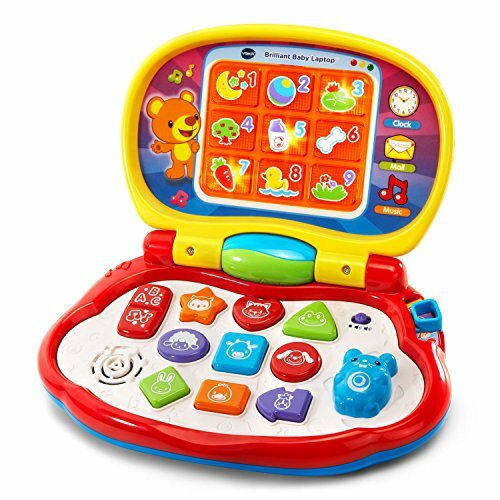 In this ever-advancing world, perhaps it’s time your 2-year-old got their first laptop. This machine allows them to press colorful buttons and discover different sounds, songs, and phrases, as well as animal noises. The laptop folds shut just like a real one, and it has a chunky carrying handle to make it easy to hold. A light-up screen will catch their eye and it has plenty of options for learning, including the introduction of colors and shapes. The automatic shut-off feature and volume control will bring a sigh of relief to the adults in the room. With five different sides for play, this toy might keep your child amused. There are interactive features that will test your child’s fine motor skills. Plus, there’s fun sounds and songs to sing along to and new words to learn. This toy is made from BPA-free plastic. You’ll also be pleased to know there’s an adjustable volume option. Batteries are included. Introducing musical instruments, animals, and shapes, the developmental milestones are aplenty. Let your child join Mickey and Minnie Mouse as they enjoy a birthday parade. 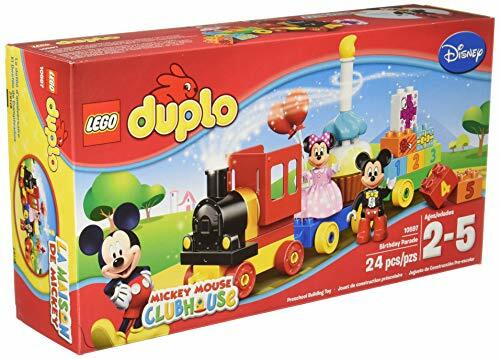 Kids love to celebrate such occasions and this Duplo set is here to help. With lots of different pieces, such as a birthday cupcake, balloons, and Disney characters, there is plenty of opportunity for creativity. The bricks are easy to connect together with a little pressure, avoiding any frustration. The wheels on the train also move on flat surfaces. All that’s left after building the celebration train is to sing “Happy Birthday” altogether. This set contains 24 pieces and the chunky construction of the blocks makes it easy for little ones to hold and manipulate. Do you want to make bedtime something your child looks forward to? You may be able to, thanks to this special book. This book has six stimulating easy-to-turn pages that let you read with your child as they interact with the features. The learning mode can help your child learn more about sounds and colors. They may even memorize the musical instruments with the music mode. 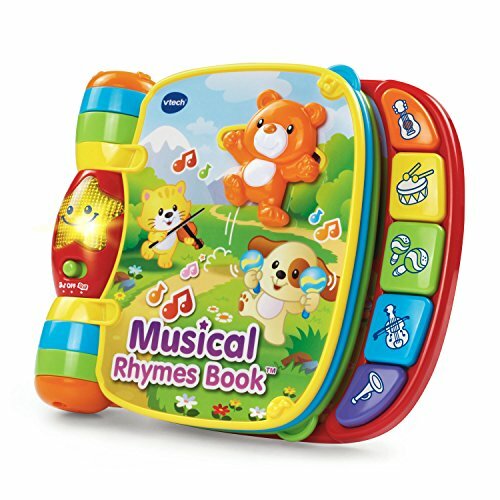 With over 40 different melodies and phrases, this might tire out your little boy or girl so they’re soon ready for sleep. Let’s go all aboard the fun train, with this moving toy. There are balls included that test your child’s fine motor skills, with the aim to drop them into the train’s chimney. The train will count them before they spin and roll out of the back, which your child will have to work out. It can be a fun activity to play together, figuring out where the balls end up, while also being introduced to numbers. Hand-eye coordination will be tested and cause and effect are introduced. That’s a wrap for this age group. 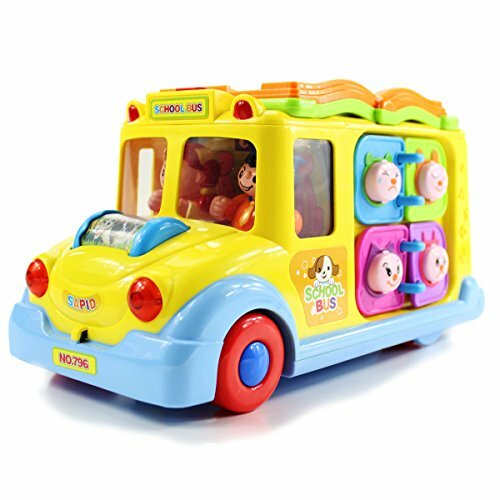 The developmental milestones for these tots are numerous and what’s great is that we have a wide range of toys for support. 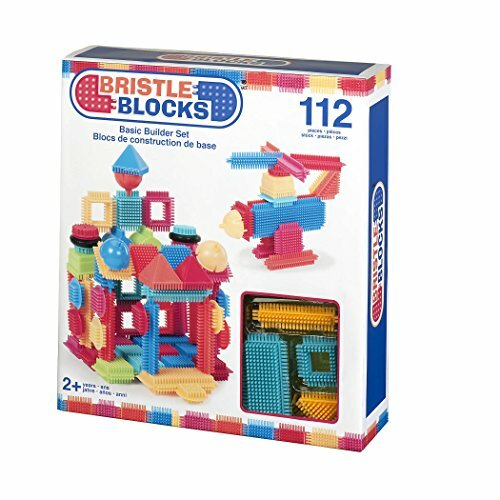 Our favorite toy has to be the Bristle Blocks creativity building toys. They’re a bundle of fun, with the ability to engage your child’s imagination and creativity. Plus, we love how the bristles are soft and easy to interlock. This minimizes frustration and encourages your child to try new shapes and ideas with confidence. The blocks are surprisingly durable too. Do you have a favorite toy for your 2-year-old? Let us know in the comments below. And please remember to share our article!